Flo-Tech Lite Wheelchair Foam Support Cushion. 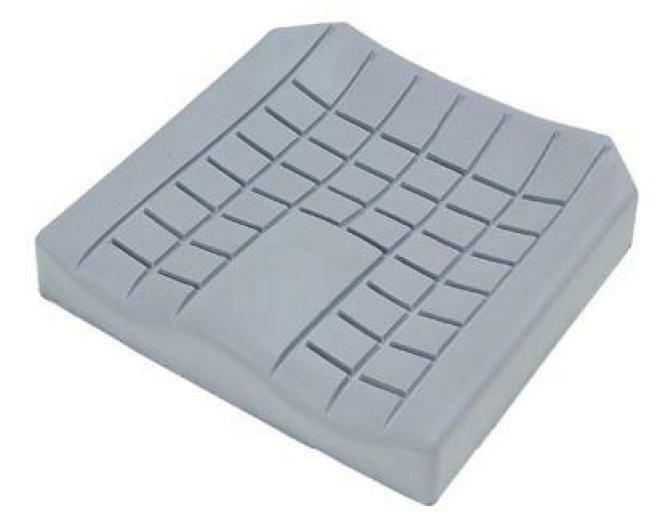 Affordable, reliable, comfortable and supportive, the Matrx Flo-tech Lite (made by Invacare) is a slimline contoured cushion that has been significantly designed to improve user comfort whilst sitting. Made from a high quality, resilient foam, the Matrx Flo-tech Lite is able to offer high levels of pressure reduction. With a pommel at the front, the cushion separates the thighs, allowing air to circulate while encouraging good posture. The Matrx Flo-Tech Lite Wheelchair Cushion comes with a cover with an anti-slip base cover that is also water resistant and vapour permeable - so users with not so good circulation will benefit from these features.